In New Jersey, being arrested for driving under the influence doesn’t just apply to alcohol. 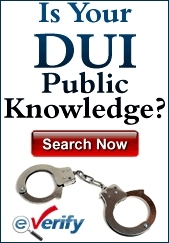 Drivers who are under the influence of drugs can also be arrested and convicted for DWI. The drugs for which a driver will face charged for driving under the influence of drugs (DUID) can be hallucinogens, narcotics and drugs that lead to habitual use. If a driver has been using marijuana, cocaine, prescription drugs and narcotics and decides to get behind the wheel of a vehicle, then there will be significant penalties in the event of a conviction. Law enforcement is constantly watching for drivers that exhibit the signs of driving under the influence. These signs can include driving erratically, illegally passing, breaking traffic laws and many other suspicious acts. When the stop is made, the officer will speak to the driver to look for clear signals of intoxication. If the driver is slurring words, has bloodshot or glassy eyes, and smells of alcohol, these are clear indicators that the driver is under the influence of alcohol or drugs. Next, the officer will ask the driver to submit to field sobriety tests followed by a breathalyzer test. For alcohol, if a driver registers a blood alcohol content of 0.08% or above, that is enough to warrant a drunk driving arrest. With drugs, it’s somewhat different. For alcohol, drivers are bound by the rule of implied consent that mandates a driver who is requested to take a breathalyzer test do so or face the charge of Refusal. A charge of Refusal will be levied even if the driver wasn’t over the legal limit of alcohol or hadn’t had anything to drink at all. With DUI with drugs, it’s different. The driver is not required to give a blood or urine sample to test for drugs. There is an exception to this rule for CDL drivers. However, a law enforcement officer is still allowed to make an arrest even without the blood or urine test if it is believed that the driver is under the influence of drugs. When taken to the police station, a drug recognition expert (DRE) will be brought in to examine the suspect and look for signs of drug use. The DRE is trained to recognize certain aspects of a person who has been using drugs. After discussing the case with the arresting officer, the DRE will speak to the suspect. The pupils of the suspect’s eyes will be studied and the DRE will look for nystagmus which is the involuntary jerking of the eye, a common sign of drug use. Divided attention tests will be administered. Examples of this are the One-Leg Stand test. The vital signs such as the temperature and heart rate will be taken. The muscle tone will be examined and the suspect will be checked for track marks from I.V. drug use. Blood, urine and saliva will be taken to be be tested. The DRE will then give an opinion. The same penalties that a driver who is drunk will face for a BAC of 0.10% or higher apply to a DUID conviction. A conviction will lead to the driver’s license being suspended for seven months to one year. The driver will be fined $300 to $500. $230 will be paid to the Intoxicated Driver Resource Center (IDRC). $100 each will be paid to the drunk driving fund and the Alcohol Education and Rehabilitation Fund (AERF). $75 will go to the Neighborhood Services Fund. There will be a surcharge of $1,000 per year for three years. There can be a jail sentence for up to 30 days. Drivers who are caught and convicted a second time will face harsher punishments. If the second infraction comes within ten years of the first, the driver’s license will be suspended for two years. The fine will be for $500 to $1,000. The IDRC charge will be $280. The other financial penalties stay the same as with a first offense. The prison term will be for between 48 hours and three months. There will be 30 days of community service. If there is a third offense within ten years of the second offense, there will be a driver’s license suspension of ten years. The fine will be for $1,000. The surcharge will rise to $1,500 per years for three years. The other penalties will stay the same. As for jail time, there will be six months. The driver will have the option of 90 days of community service that will reduce jail time.